Second in a three-part series, this week Mia and Lea share the story you all have been waiting for -- the big event of Mia taking down a huge archery bull. She shares the lead up to the shot and all the small details from blood trailing to the ups and downs of emotions on that big day. It’s one story you won’t want to miss. 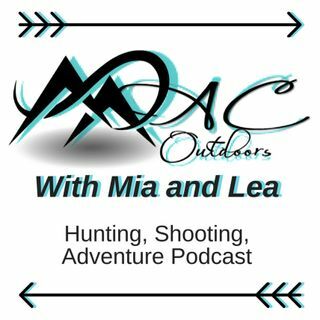 The MAC Outdoors Podcast is a member of the of the Self Defense Radio Network.